It's been sunny and warm these days and people are mostly outside to savour this awesome Irish weather we're getting. I've been constantly wearing shirts or airy dresses on some days when I'm feeling girly, pretty much fun to wear something floral or anything colourful. It's Friday and everyone at work are feeling cheerful and chatty. 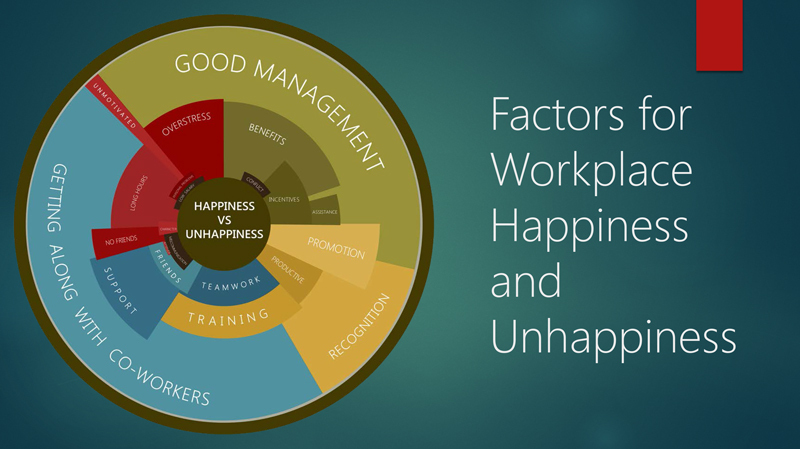 Recently, I did a infographic project about being happy and unhappy in a workplace, it's proven that people stay at work if they get along with colleagues. I feel lucky to have landed in a job a like and people around me are so nice! I made friends with them in no time and they welcome me with open arms!